Disclaimer: The views and opinions represented in this post are my own and in no way reflect those of my program, institutes, or funding agencies. Having been born in Mexico and moved to the US when I was nine, I have always both understood the advantages that diversity brings, along with the challenges that integrating two worlds can bring. Looking back on it now, it doesn’t surprise me that I ended up studying my PhD across two continents and three supervisors. I have learned much during my three years as a PhD student, most of it relating to the developmental processes that regulate the development of hematopoietic stem cells (HSCs) during embryogenesis. Catch me at a happy hour after the lab and there’s little else I’d rather talk to you about…seriously. But some of the most salient lessons have been those relating to the graduate experience, from application to graduation. Every graduate program and lab that you apply to, whether at a small research university to superstar R01, will have its pros and cons. The trick to making the right decision that fits your career goals and personality is knowing the cons so that you can navigate around them and take advantage of the pros that a program can offer you. 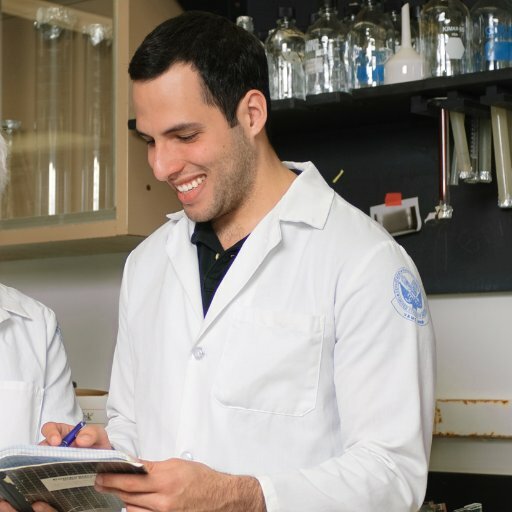 The NIH Oxford-Cambridge Scholars program is different to most traditional US programs because you get to work both at the NIH as well as Oxford or Cambridge in the UK. You are, however, a UK student, fully enrolled at your university, where your degree is conferred, but funded through your NIH lab unless you bring your own, outside funding. The first clear advantage is that you will be getting an experience that few others get. Few get a chance to work in an exceptional lab at either the NIH, Oxford, or Cambridge. Even fewer get to do so at two of these during one PhD. However, because of the competitive nature of the program, and because in the UK, PhD students have to graduate after four years (another advantage/disadvantage, depending on your perspective) you have to apply and interview for the program with a very clear idea of what your research interests are. This does not mean that you have to have a project lined up, but certainly that you have some idea and have contacted PIs at both the NIH and either Oxford or Cambridge about being in the program. Having some form of fellowship also helps your chances of getting in, but is not necessary (the program takes roughly 13-15 unfunded students a year; check the program website for more information). You have to manage the collaboration, communication, and work with your own PI’s. This is something that more and more programs are encouraging and training their students to do (aptly named managing-up), but something that due to the nature of the program, you have to do inherently. It’s a good skill to learn, but doing so can pose a challenge. Some students who do so poorly can end up with two separate mini-theses instead of one coherent project by the end of their four years, and if you’re looking to land a big post-doc position that will set you up for an academic career at an R01, this might place you at a disadvantage. That being said, I know students who, due to the rigor and nature of their collaboration and respective labs, publish two large papers over the course of their study. Because UK programs are four-year programs with no publication requirements for graduation, you will hit the ground running when you start, and have to maintain that momentum and self-motivation to publish. You won’t get lab rotations to decide on a lab environment, and you won’t get as much time to explore interesting projects within a lab. This program is perfect for those of you who, like me, feel ready to focus solely on your research and not take any more classes or spend time in rotations. Today, depending on where you do your PhD, the odds of you landing an academic tenure-track career with your own lab are, at the highest, 20%. If you’re a minority, the reality is that the current environment is such that it’s even lower for you. I don’t say this to discourage you from pursuing a PhD, or even an academic track, but you should be realistic as to what your other options are, and about having this conversation with your supervisor from the get-go. There are plenty of resources out there that can point you in the right direction on learning skills that will be important for your career whether you choose to stay or not, and a supervisor who understands and supports this type of learning is critical. I count myself lucky to have the privilege to have done research in three different continents, but in all three, I have found that academic science culture does not value or promote self-care in the way other industries do. Sometimes, it can be quite the opposite, leading to mental health issues, loss in productivity, and burnout. This is why choosing your supervisor and lab environment are more important than choosing a research project, and why having a strong support network and resources are also critical. I count myself lucky to have ended in labs with supportive supervisors. Others, unfortunately, can’t always say the same. Regardless of your goals, embarking and navigating a scientific PhD is a wonderful opportunity for growth and learning, and the skills learned are transferable to many satisfying, impactful careers. As a member of an underrepresented minority in a PhD program, I have had the opportunity to interact with some of the most inspiring scientists I feel lucky to call colleagues and would not trade the experience for anything else. Juan Pablo Ruiz is an HHMI fellow that is currently working towards a DPhil in Biomedical Sciences through the NIH/OxCam program. His research interests are in tissue and stem cell engineering, as well as developmental biology. He also has a wide array of interests which include positive psychology, literature, and creative writing. To promote well-being and life satisfaction in the academic sciences, he founded Labmosphere.com. As someone who just recently received an autism spectrum diagnosis (Asperger’s Syndrome), he is also working to break the stigma around conversations on mental health and neurodiversity in scientific academia. You can find him on Twitter @HappyStemCell.